New production Croatian Bolt Hold Open 30rd AK47 magazine. 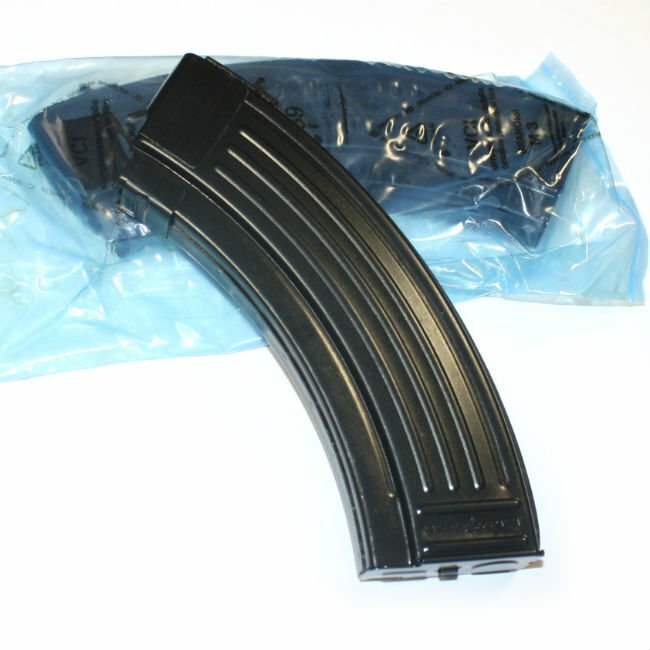 This is a fantastic value at $13.50 each for top quality mil-spec AK mags. Current production made on former Military tooling, all steel construction with a beautiful blued finish. These are near identical to surplus Yugo bolt hold open (BHO) magazines. BHO mags have a follower that holds the bolt back after the last round is fired. Each mag comes stored in long term VCI packaging. Coated in oil and sealed, these will last a lifetime without rusting. Oil is easy to clean off, this is not cosmoline. Would you happen to have a magazine for a Croatian PHP MV 9mm?